There are numerous excellent reviews on fragment-based drug discovery (FBDD), but there are to date no hand-holding guides or protocols with which one can embark on this orthogonal approach to complement traditional high throughput screening methodologies. 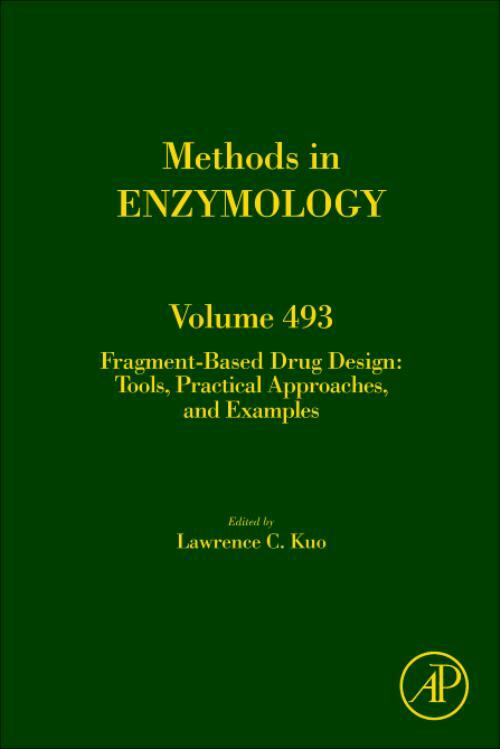 This Methods in Enzymology volume offers the tools, practical approaches, and hit-to-lead examples on how to conduct FBDD screens. The chapters in this volume cover methods that have proven to be successful in generating leads from fragments, including chapters on how to apply computational techniques, nuclear magnetic resonance, surface plasma resonance, thermal shift and binding assays, protein crystallography, and medicinal chemistry in FBDD. Also elaborated by experienced researchers in FBDD are sample preparations of fragments, proteins, and GPCR as well as examples of how to generate leads from hits.